But what alternatives are there that won’t break the balance for a 35mm zone focus, quirky compact ? I like the LC-A and certainly don’t feel it deserves some of the derision it gets. 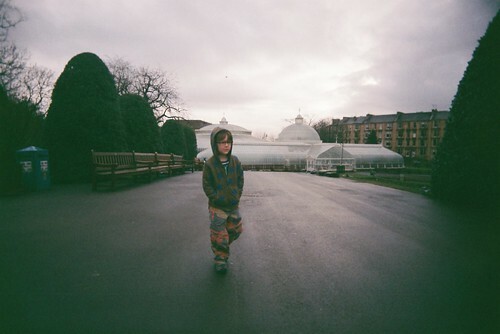 But my LC-A despite being a relatively cheap buy still was one of my most expensive cameras at purchase at £40. It also needed servicing by the wonderful Roger Lean (google it) but despite that was still half the £190 + you pay for a LSI refurbed one. The new LC-A+ costs almost the same as the last manual focus SLR in production the Nikon FM10 with a zoom lens (ouch !). Still we’re focusing on a P&S here with models either matching the LC-A spec or its famous lomography style images. No surprise here if you’ve followed my blog. 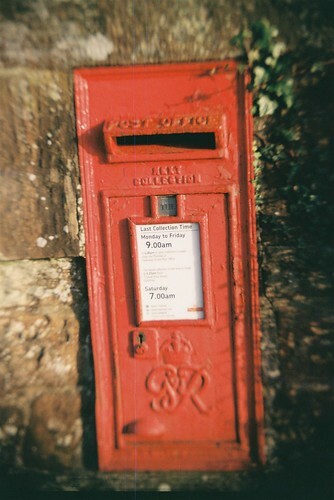 This tiny plastic fixed focus has acquired the Moniker of the Poor Man’s Lomo. 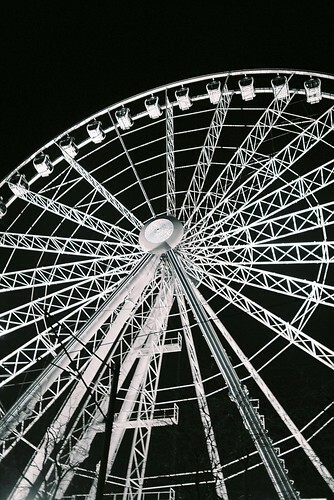 This fixed focus, shutter and aperture camera became one of favourites last year. Despite being an all plastic affair it can take good shots if circumstances are right and like the LC-A has a quirky lens and it vignettes . 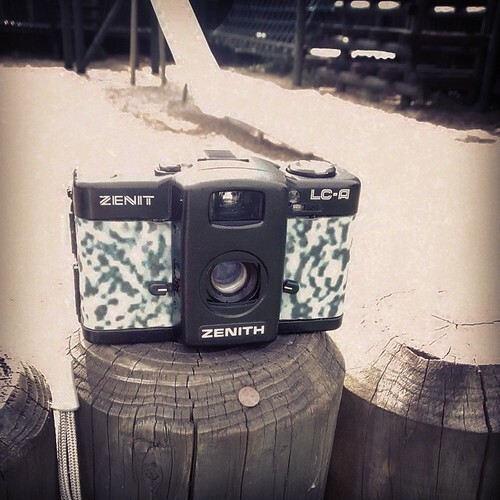 If you’re lucky you might find one in a thrift store (the VUWS was according to legend never a retail camera but a freebie give away) but if not you can buy a new clone for around £20 mark from the likes of Superheadz. Arguably the obvious temporal rival for the LC-A, the XA2 arrived in 1982 as the Zone focus little brother of the rangefinder XA. A really compact camera with a clamshell body which is completely pocket friendly. Better optics and electronics on paper although it’s meant only to be used in it’s 3 focus zones in low light. Olympus replaced the usual shutter button with pressure sensitive pad – better for long exposures (will meter for up to 2 minute exposure) than the LC-A but more prone to being a bit sticky 20-30 years later. Has a neat electronic timer but you’ll need to use a proprietary flash unit. Despite a cult following you can still easily get for the single figure side of a tenner making it a bargain. 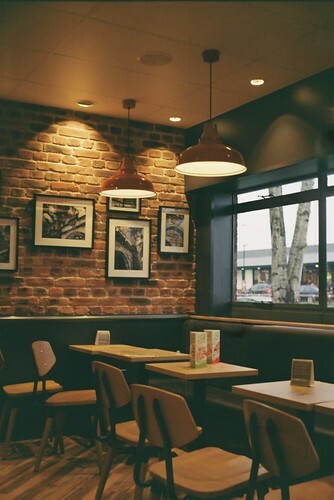 The XA3 is a slightly upgraded version with support up to 1600 asa as well as backlight compensation but is rarer. 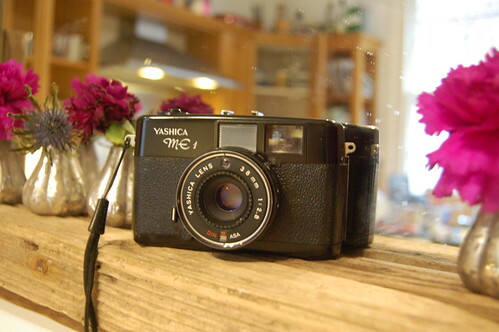 The XA4 adds scale focus, macro and a wider lens but is quite rare. Bonkers FSU camera from FED in the 1980’s that essentially is the mutant love child of an Olympus Trip 35 and the LC-A. Based on the FED 35 rangefinder body abet with a cyclops selenium meter this is a scale focus camera Oddly it has a set of LC-A focus zones visible in the viewfinder but unlike the LC-A you get visual feedback of shutter/aperture speeds. It also can use standard filters, cable release and did I mention the Bulb setting ? Famous for fickle metering and not that light a worthy alternative but you’ll pay a wee bit as usually need to import from FSU for £20-30 +P&P. 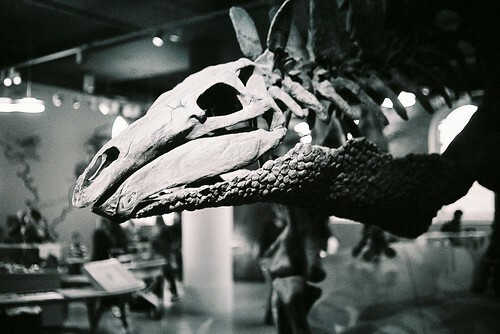 National Museum of Scotland, FED 50 with Ilford XP2. 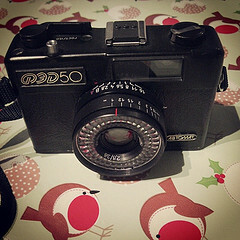 Quirky plasticky 35 scale focus 70’s compact made either in Japan or Brazil is notable as unlike some rivals the the minolta Hi-matic G or Chinon 35 no simple downscaling of a series rangefinder occured. Light, small, pocketable and has good optics with added bonus of standard filter ring and self timer. One of many Japanese P&S compact of the 70’s all broadly as good but enough quirks to match the LC-A. The classic P&S compact with a 3 decade run of production is still available on a good day for around a tenner. Not as compact as a LC-A and limited shutter speeds are more than balanced by the fact that this has excellent optics and just works. 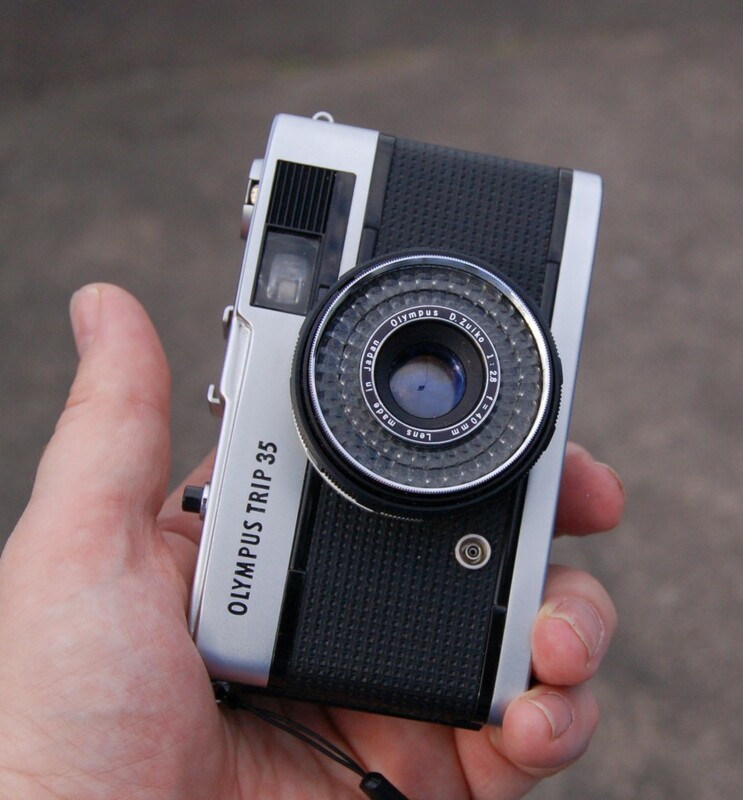 One of Olympus’s classics and you can fit filters (abet at 43.5mm) and add a cable release. 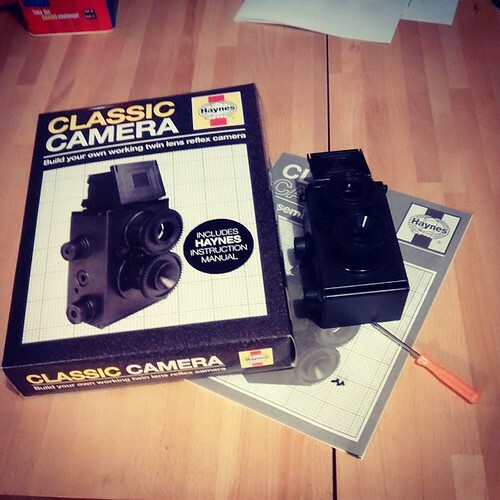 For a tenner or less you can pick and build your own TLR. All plastic affair but does work. You’ll need to live with fixed shutter and aperture speeds, not great lens and a focus screen that makes focusing a Lubitel a piece of cake but hey it works. 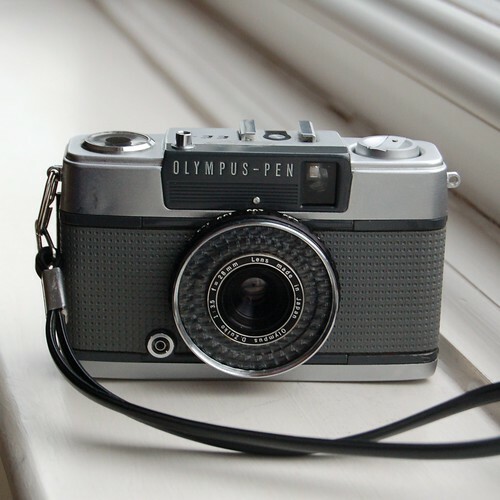 3rd outing for Olympus here. Smaller than a Trip 35 but stylistically and selenium metering similar these half frame marvels sold in various guises from 1961 to 1986. Almost all had the same core features but the E series broadly has 2 types of cameras – one with fixed focus given EE Designation and ones with zone focus given EES designation). I own a EE-2 which I got for the paltry sum of £6 but only because the seller hadn’t listed as a PEN as these have become quite sought after so expect to pay £20 or more. 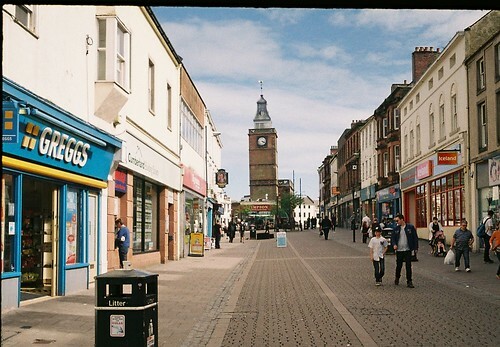 Still you get 48 shots on a roll of poundland AVP 200 ….. There are several notable other camera that could have been here but I just don’t think cuts the mustard including. This list left out the best alternative of them all! The original Lomo LC-A! I scored an original LC-A for $50 a year or two ago and it has now become the camera I always grab on the go. I own over 10 film cameras and numerous lenses but the simple convenience and compactness of this solid little beauty win me over every time! If you don’t want to shell out for a new Lomo LC-A+ look for an original model (in good working order)…. you won’t be disappointed.